Ruby is in a class of its own in the world of gems. Ruby for much of human history has been the most prized gemstone. The Bible compares the price of wisdom to the price of rubies. In India, the ruby is known as “ratnaraj” or “king of precious stones” in the ancient language of Sanskrit. The powers and benefits that ruby is credited for are very numerous. Is it Ruby’s color that we love? Or is it Ruby’s beauty? Is it Ruby’s rarity, thereby is high cost? What ever it is, Ruby’s impact on humans is broad and deep. Let’s get the basics out of the way first. Ruby is the red variety of corundum. Any other color of corundum is called a Sapphire. The red color in ruby is caused by trace amounts of the element chromium. Ruby is 9 on the Mohs hardness scale. 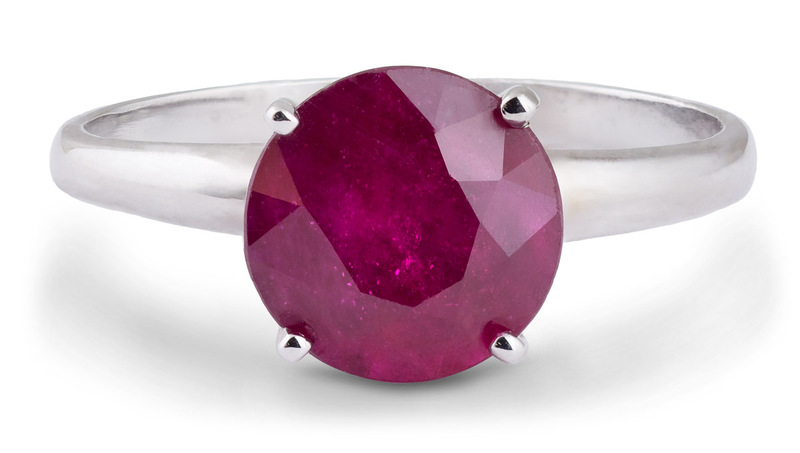 Ruby is the accepted birthstone for July. It is also the anniversary gemstone for the 15th and 40th year. 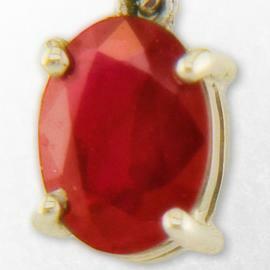 Ruby is derived from the Latin word “ruber”, it simply means red. Innumerable powers have been associated with the ruby throughout time. It was thought that the ruby could preserve health, remove evil thoughts, and settle disagreements. The list of Ruby’s powers continues by aiding regeneration of physical or spiritual heart, enhances circulation, vitalizes blood and entire body and mind, strengthens immunity, activates sluggish or dormant conditions on physical or spiritual levels and take a breath now. And to continue, Ruby refines lower passions, adds courage and integrity. It gives a selfless service, joy, spiritual devotion, power, leadership. And naturally helps banish a sense of limitation. To the ancients, Ruby, with its deep red tones, represented passion, power, affection and majesty. Rubies of old were often associated with dragons. It was believed that wearing rubies in war made a soldier invulnerable. The highest quality rubies are said to protect their owners from all kinds of misfortune. A fine ruby assured the owner he would live in harmony with his neighbors. It would protect his stature in life, his home and land. Its protective powers were intensified when set in jewelry, and worn on the left side. Ruby for much of human history has been the most prized gemstone. And the list goes on synonymous with passion, the ruby is believed to protect one from being seduced and has the ability to soothe anger. The ruby has always been a symbol of love, charity and victory. 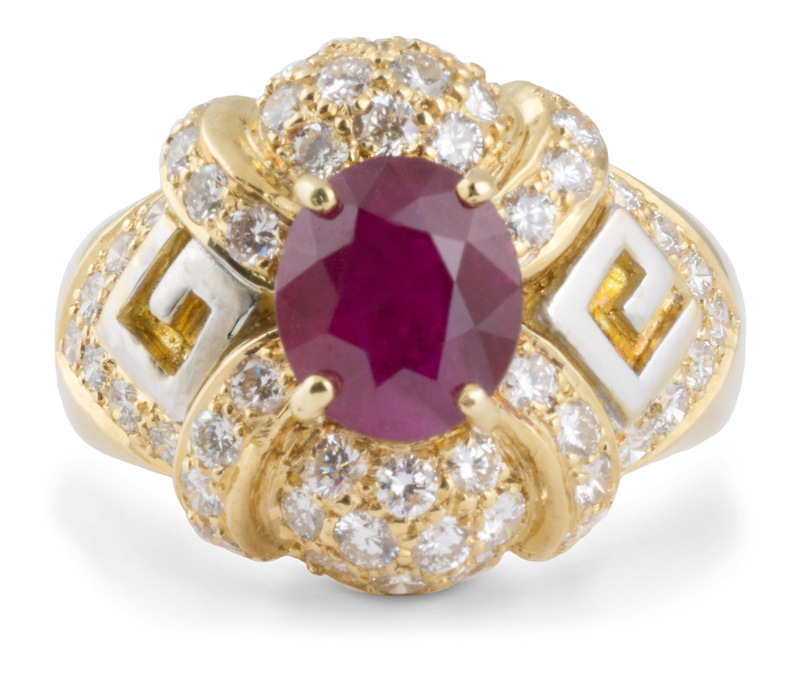 The earliest cultures worshiped rubies, calling them “perpetually burning fires” and assigning them magical powers. 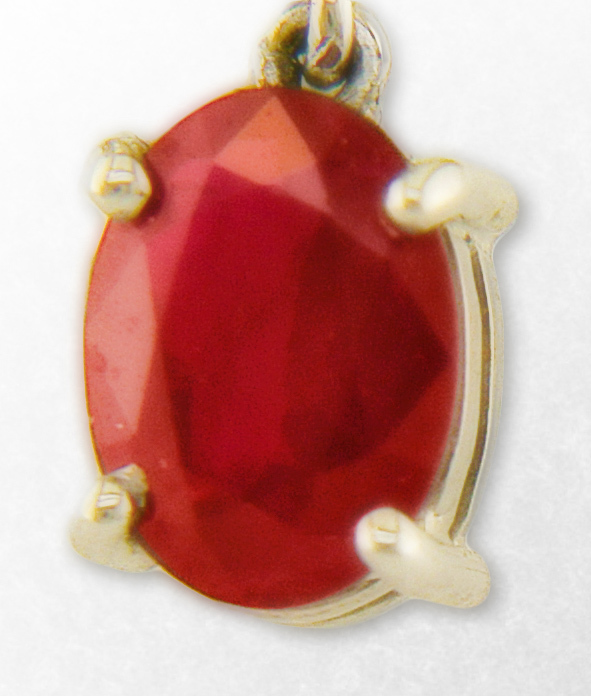 In ancient days the fiery stone was associated with courage, its red coloring evoking red blood and fire. Worn on the crowns and helmets of kings, rubies were a royal insignia believed to protect the wearer from injury and to keep him safe and healthy. The ruby has long been considered a sacred mineral offering the wearer protection in times of war. Rubies were often mistaken for garnet and red spinels. In fact, the Black Prince Ruby, which is at the center of the British Imperial State Crown, is a red spinel! Rubies are sturdy stones, but are still vulnerable to breakage and chipping. Don’t use hairspray, makeup, lotions and the like while wearing rubies. They can leave residue on the ruby that will dull their shine. Some rubies may have been filled or treated to hide surface scratches or inclusion. Avoid using household chemicals or abrasives when wearing them. Ruby jewelry can be wiped with a soft, dry cloth often to remove dust and residue that will mar its sparkle. For more intense cleaning, use warm water and mild dishwashing detergent in solution. Soak the piece for 15 minutes, and then clean with a soft brush. Rinse with clear water and examine under good light for any remaining residue. If there is any, repeat the process. You can use an Ultrasonic cleaning machine with Rubies. Remember to dry Ruby jewelry thoroughly before wearing or storing.